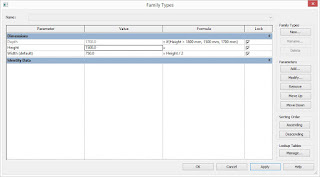 Following on from our Dynamo BIM blogs we are going to look at using formulas in Revit families. Clients and people on training course often ask how can I do this or that within a family. The only way they can achieve what they want it to do is to use formulas. 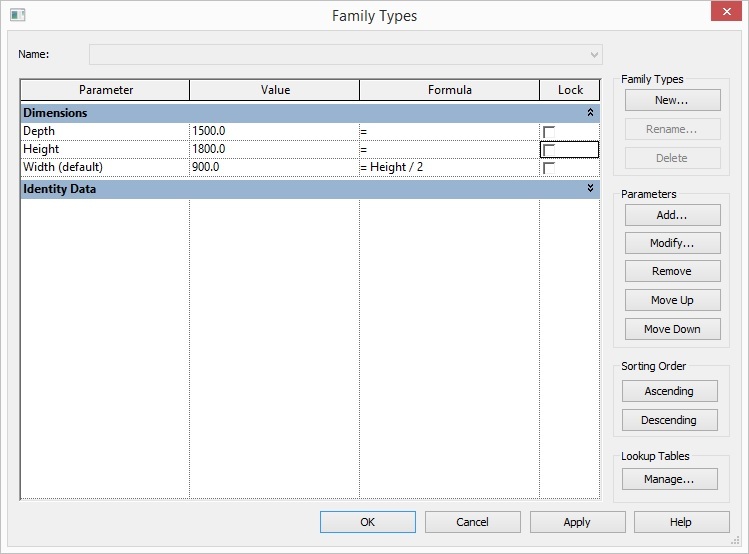 In this blog I am going to give a high level overview of formulas in families. You don't need to be a programmer. But the usual family rules apply. Plan your family beforehand and flex (test) your family as you go. The idea with formulas is to get parameters driving other parameter and automating your family as much as possible. Let’s take a very basic arithmetic formula inside a family. In the screen shot below you can see that the width of the family is always going to be half the height. The width is controlled by a simple formula Width = Height divided by 2. This can be a huge time saving for the user but also reduces the possibility of errors. When your under pressure to get a model it can be very easy to forget to change a parameter. So the more you can automate the family the increase you will get in productivity. Log of 1000 to base 10 is 3. 10 x 10 x 10 = 1000. In a Revit family it is written as log (1000). 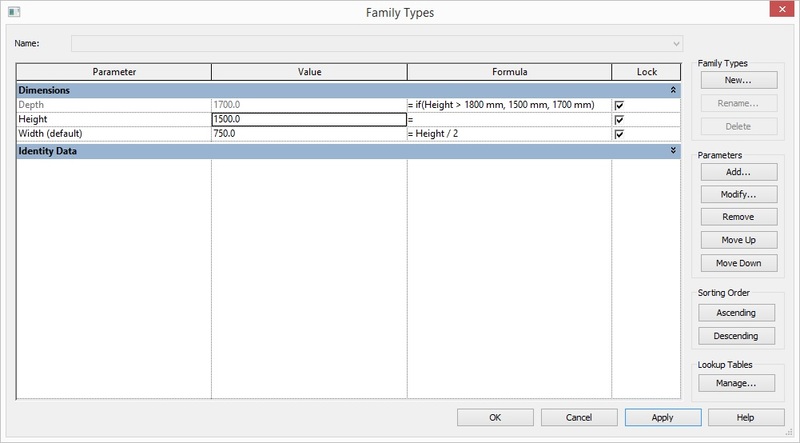 Revit family formulas also support conditional statements. A conditional statement checks if a condition is true or false and takes appropriate depending on the test. In the example above if Height is greater then 1800mm the depth is 1500mm. If the Height is less the depth is 1700mm. And, OR statements can also be used in Conditional formulas giving you additional power to check a condition. If you really want to create powerful advanced families get into using formulas in your families. 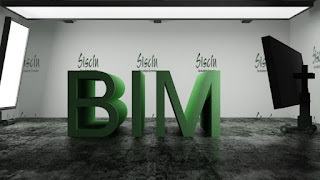 It will take time to get use to Revit’s formula format but its well worth it. 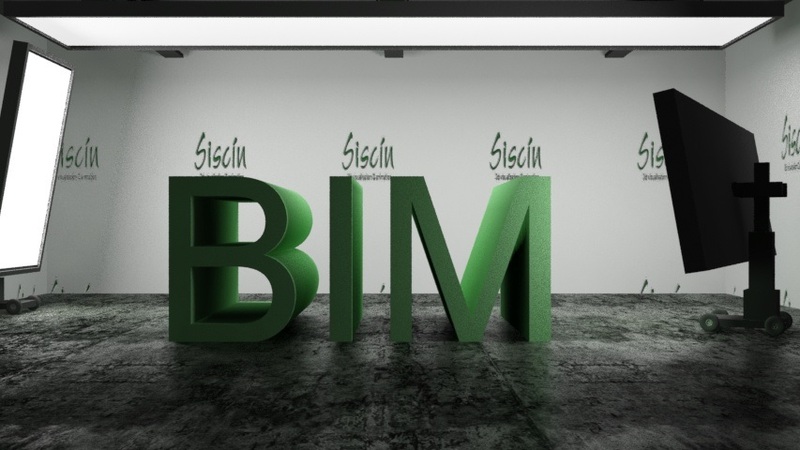 If you have any questions on anything in this blog or any other blog or any of our services please feel free to contact me at dan@siscin.ie.